A tragic fire broke out in the Advanced Medicare & Research Institute (AMRI) Hospital in Kolkata early Friday morning in which 91 persons have died, making it one of the worst tragedies in any hospital in India. Many patients died while asleep. The government has ordered a judicial probe which shall run parallel to the inquiry under police’s detective department. 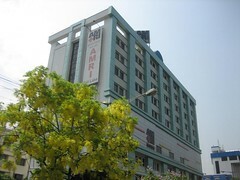 AMRI hospital where the unfortunate incident occurred is a private hospital and many prominent persons serve as directors on its board. Reacting to the outrage triggered by the fire, the police in knee-jerk reaction, bypassed all known precedents and procedures under the existing law and arrested seven directors on the AMRI board. They were produced before the court and were remanded to 10 days’ police custody. The Kolkata Municipal Corporation also cancelled the trade license of the hospital without issuing a show-cause notice, much less a proper inquiry. The AMRI directors have been charged with offences including culpable homicide not amounting to murder, attracting a maximum punishment of a jail term up to 10 years and fine. A mob comprising several hundred protesters outside the court premises demanded death penalty for them, and lawyers, bowing to the popular sentiment, decided not to defend their case. The court, without going into the issue of liability/negligence, and without considering prima facie evidence, ordered police remand for all the directors. It did not follow the system of absolute liability, or give serious consideration to investigation/inquiry so that a prima facie case is made out against the accused. It is highly unlikely that all the directors were in charge of day-to-day functioning of the hospital. It was the same when the Bhopal disaster happened. The government went after Warren Anderson, based in the US, on behalf of Union Carbide, while knowing fully well that the state government of Madhya Pradesh held a majority stake (51%) in the Bhopal unit of Union Carbide. In the pursuit of senior people/owners of facilities, we end up targeting people who have a paying capacity. So, the vested interest for better compensation overtakes other considerations and the actual offenders often go scot-free. The question to ask is: Should we pursue compensation or criminal justice when criminal negligence occurs? The manner of arrests in the AMRI case is a shame on criminal liability as well as on the Company Law. In Solomon vs Solomon, the court had declined to pierce the corporate veil even when the two directors of the company were husband and wife, as the court treated the entity called “company” as sacrosanct. In AMRI, instead of proceeding against the occupier or person in charge for day-to-day operations, the corporate veil is being pierced at the very first instance and law is trying to reach to the directors without any basis or evidence aganist them jointly or severally against the established norms. It failed to treat AMRI as a legal entity validly existing under company law as unique and distinct, capable of being sued in its own capacity and directors holding their positions in trust. What could be the liability of directors of hospitals like AMRI? Many of them are on the board only because of their expertise or technical knowledge, but not engaged in day-to-day decisions of the hospital. Only in rare cases is the corporate veil pierced to look at persons actually on the board of directors of a company. Look at it another way, how will the law treat a similar incident in a Government hospital? Will the Chief Medical Office, Health Secretary or Health Minister be arrested? In the Managalore Air India crash, or Jnaneswari Express train accident, no member of the Railway Board, or the chairman of Air India, was arrested. Are we saying that law is different for different entities? Are we not living in a country where we boast of the rule of law and equality before law – Article 14 of the Constitution? It is unheard of that criminal liability is saddled vicariously on persons not actually concerned with the running of an establishment/factory/facility or directly responsible for its functioning. In the AMRI case, the police not only bowed to popular demand, even the court bypassed the set procedures and precedents under criminal law. If the private sector directors are singled out, then it would get increasingly difficult to get good, qualified people to accept director positions in the private sector, as they may feel threatened and such witch hunt approach would create a fear psychosis which will certainly be a disaster for corporate India, and experts and technocrats may not llike to take that additional liability for any offence caused by the company without even being aware about the same. Directors are agents for the transactions entered into by a company, though they are not agents for individual shareholders or members. Directors as such are not liable for the torts or civil wrongs of their company. To make a person liable for a tort, for example, for negligence, trespass, nuisance or defamation, it must be shown that he was himself the wrongdoer or that he was the employer or principal of the wrongdoer in relation to the act complained of, or that the tort was committed on his instructions. The courts have narrowed down the liability of directors over the years. It follows from the fact that if a director of a company who was not in charge of and was not responsible for the conduct of the business of the company at the relevant time, will not be liable for a criminal offence under the provisions. It is a complainant’s responsibility to explain how a director was vicariously liable. There is no presumption that every director knows about or is involved in day-to-day management of the company. Technically criminal liability can be fastened only on those directors who, at the time of the commission of the offence, were in charge of and responsible for the conduct of the business of the company. In contrast, vicarious liability on the part of a person must be pleaded and proved, and not inferred. In case of factories, law provides that occupier is liable. It is not necessary to make specific averment regarding occupier in the complaint and by virtue of their position they are liable to be proceeded with but that cannot be the case even for the managing director leave apart all directors (including independent directors). There is a total clarity in law that in respect of such duties as may be properly left to some other official having regard to the exigencies of business or the articles of association of the company, a director is, in the absence of grounds for suspicion, justified in trusting that official to perform such duties honestly and cannot be held liable for any offence caused by such person. While directors serving on the board of government companies are insulated and protected, the directors on private companies are left to the mercy of popular sentiment. Does the law change when many perish and there is a public outcry or do the principles of law remain the same? The larger question is: is our jurisprudence evolving for the good or worse?